Traditional aileron torque rod setup for your smaller park fliers and indoor models. Use one servo to drive two ailerons. Complete hardware included. Included wheel collar adjusts horn up and down wire for any length torque arm you'd like to use. 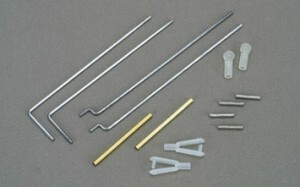 Use this set for 1/16", .078 and 2mm size wire. Top quality collar and hardened set screw, won't slip! Included wheel collar adjusts horn up and down wire for any length torque arm you'd like to use. Use this set for 3/32" & 2.5mm size wire. Top quality collar and hardened set screw, won't slip! Includes bearing, prebent. Ready for 4-40 torque rod horns. Wire size is .093" (3.32"). 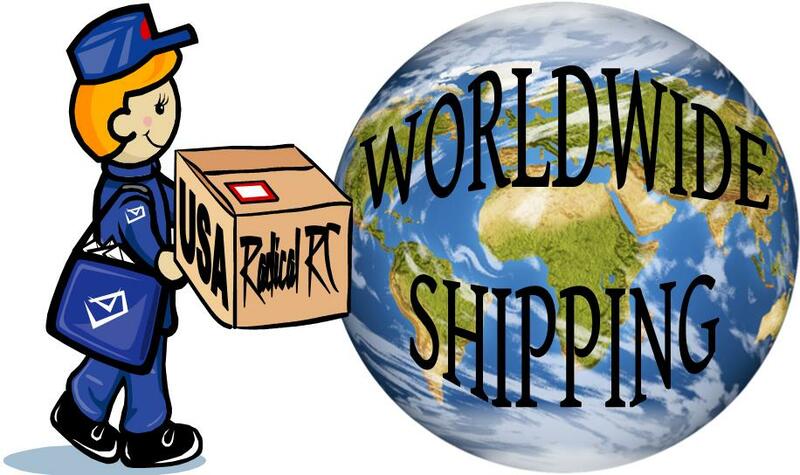 Typical in 20-60 sized ships. Note, torque rods are larger in diameter than the pushrods you'd typically use in a model class because you need them to be torsionally stiff. This is top quality hardware I believe was once included in Top-Flite kits. No shrink, no stretch, free running, and fully adjustable at control horn. 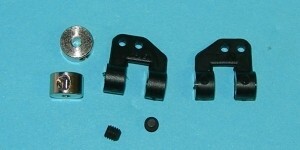 Complete assembly includes 2 ea Solder Link, Kwik Link, Nylon Sleeve, 2-56 Rods and link guards. Typical weight parts for 2-7lb aircraft. 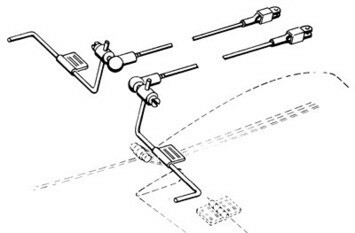 Easy to install, light and compact torque rod set for 1/2A airplanes (generally models under 2lbs). Features Mini Nylon Kwik-Links, Spring Threaded Couplers, Nylon Rod Ends, Brass Trubes and 1/16" diameter wire. Fully adjustable 16 piece aileron hook-up. No play, no binding, super precision. Eliminates differential throw. 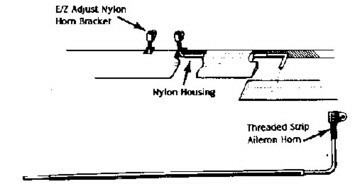 Use on high, mid, or low wing airplanes utilizing strip ailerons. Includes all hardware for 2-56 thread and link guards for safety under heavy stress. 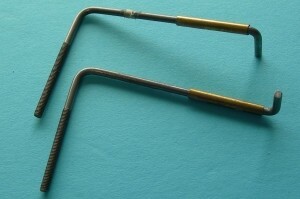 Horn wire 3/32" diameter. These E/Z Adjust Strip Aileron Horn Sets are easy to install. Comes complete with a threaded strip aileron horn which has 3/4 adjustment range, E/Z Adjust Nylon Horn Bracket for easy adjustment and nylon housing which is glued in the wing for friction free aileron operation. Slip over horn with adjustment wheel collar as shown in photo. This is a complete set of adjustable horns that slip over the wire. 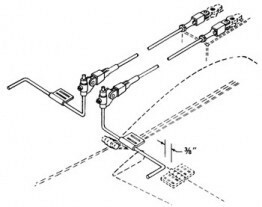 Your aileron pushrod connects to this part.